Is an LMS out of the question for your small to mid-sized business? Do you believe that it’s too costly or that your team simply doesn’t have the necessary tech expertise? In this article, I’ll share the most common misconceptions about LMS for SMBs…and the truths behind them. Running a small or midsize business usually means you have to work with limited resources. For this reason, employees may have to take on one or more roles that are not in their area of expertise. Due to budget constraints, some SMBs also fail to train these valuable staff members, leading to professional stagnation. However, online training can give you the opportunity to focus on employee growth without breaking the bank. An effective LMS can reduce these training costs by $100 per employee. So, why is that most small to mid-sized businesses believe that online training systems are reserved for Fortune 500 companies? Here are the common misconceptions about LMS for SMBs. It is a common misconception that Learning Management Systems only benefits large organizations. Contrary to this, SMBs benefit the most from LMS training. An LMS for SMBs helps conduct on-the-job training efficiently whenever the need arises. It helps to keep your employees in tabs with all the new skills in their areas of expertise. SMBs realize a high ROI from LMSs because vendors allow flexible methods of payment such as subscriptions or monthly licenses. These methods of payment can accommodate virtually any budget. In addition to this, Learning Management Systems ensure personalized learning and have features to enhance memory recall. Reporting and analytic features allow SMBs to track the online training progress of every employee and give feedback. They also allow tracking of goal achievement in every module so that you can provide additional support when necessary. Most SMBs operate on tight budgets, but you still need to train your employees to stay ahead of the competition. LMS training might seem slow and resource-draining when there is the need for training across different departments. However, if you choose the right LMS platform, you can easily modify existing online training resources to suit every employee's needs. For example, create templates that allow you to quickly add or remove online training content for various job duties/roles. Or even repurpose online training material you already have in your database to avoid additional costs and speed up the deployment process. In addition to this, online training can be delivered quickly organization-wide through the use of bite-sized modules. Some SMBs can also make extra income from their LMS by selling the online training courses to external partners or in third-party marketplaces. Another common LMS myth is that it simply isn’t worth the investment and will only lead to budget constraints in other areas. Though you may have up-front costs and/or monthly fees, online training is more cost-effective in the long-term. How so? Each time you hire new employees, you do not have to set up classroom training and gather course material for onboarding. If new information comes up, you can make modifications to update the online training program at little or no cost. The ability to reuse online training content makes LMS a cheaper method of training for SMBs. It saves them the cost of having to hire new trainers every time, book training locations, and create new online training content. Not to mention, it reduces employee training seat time. As a result, your employees get the information they need more rapidly so that they can spend more time performing their job duties. This is a common misconception that prevents SMBs from using LMS. An Instructional Designer is not required for every online training course. 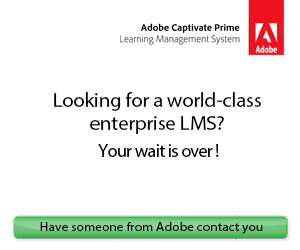 If training need arises regularly in your small or medium enterprise, choose an LMS with easy to customize templates. These types of templates allow anyone to design and modify online training content with ease. They come with easy-to-follow steps that will help you through every personalization process. Online asset libraries are another time-saving, cost-effective feature. These online training repositories have a broad range of images, characters, and interactions you can incorporate into your eLearning course design. That said, many organizations still bring trained L&D professionals on-board to design the core content. You can also outsource online training projects to external service providers if you don’t want to hire permanent Instructional Designers and eLearning developers. Many managers believe that the traditional classroom set up is more effective than online training. This is due to the common myth that online training courses aren't weighty. Therefore, employees will not gain enough information or develop their skills effectively. Far from it, most online training courses are controlled by online instructors/facilitators. These online instructors are available for questions and online discussions via the platforms provided by the LMS. Employees can get feedback and have their questions answered in detail by these instructors. Additional links and information can be sent to online learners who have not grasped a certain concept. This makes Learning Management Systems ideal for both the slow and fast online learners. In addition to this, LMS incorporates video, audio and practical learning which caters for the auditory, visual and kinesthetic learners. With Learning Management Systems, all employees benefit. These common misconceptions about LMS for SMBs might prevent your organization from reaping the rewards of online training. But moving past these myths can propel your business forward, since employees receive proper training which improves their service delivery and on-the-job satisfaction. 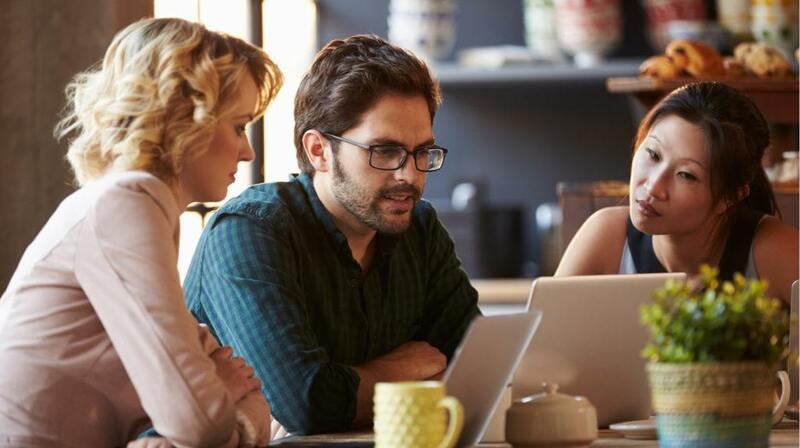 With Learning Management Systems, organizations of all sizes realize higher sales, less work-related injuries, better customer relations, and higher ROI. Are you in the market for a Learning Management System, but don’t even know where to begin? Which LMS features will benefit your small to medium-sized business and ensure online training success? Which SMB Learning Management System is best for your limited eLearning budget? Do the benefits justify the investment? Download our free eBook The Ultimate Guide To Find The Ideal LMS For Small And Medium Businesses (SMBs) to find out the benefits of integrating a new SMB LMS, as well as pitfalls to avoid, the features that your new SMB LMS should have, how to calculate ROI after the purchase, how to measure employee engagement with it and much more.